Home exercises for beginners exercises to lose weight get in shape how to lose belly fat lose weight no diet perfect body stay in shape training mistakes training set weight loss workout to lose weight Six mistakes you keep doing at trainings. Six mistakes you keep doing at trainings. Six mistakes you keep doing at training. #6. You don't warm up! Warming up before exercising and stretching afterward are necessary components of any weight loss or toning routine. Everyone's in a rush these days. It's understandable if you're pumped when you arrive at the gym and can't wait to get on that treadmill or begin doing heavy weight training immediately. Unfortunately, if you don't warm up, you risk injuring your body. If that happens you'll definitely face a setback. Your body needs to be warmed up and your muscles need to be loose before you can try to push them beyond their limits. If you do warm up but only stretch before exercising and not after, you might have prepared your body for the workout but your muscles will be left in a state of contraction and tension. This means that instead of feeling relaxed after exercising you'll feel tense and restricted. A huge part of weight loss is the mental aspect. If your body doesn't feel good you won't want to stick to your workout routine. Make sure you warm up and stretch to increase your chances of exercising in the long-term. #5. You only do steady cardio. Does your exercise routine involve running on the treadmill or using the elliptical at the same intensity for the whole time you're at the gym? Doing long and steady cardio might be a necessary approach for long-distance runners who need stamina. However, if your goal is to lose weight many sources and tons of research show that instead of focusing on steady cardio. You should do hiit workouts. Hiit stands for high-intensity interval training. Hiit workouts involved going as fast as your body will allow you for one to three minutes and then slowing down for the same amount of time. To a walk, if you are a beginner or a jog if you're more advanced. These types of workouts have an afterburn effect which you don't get with steady cardio. The afterburn effect has been tested through numerous studies including one conducted in 2011 by Appalachian State University. It's been shown that exercising vigorously through hit workouts makes the body burn more calories immediately and for up to 24 hours afterward. What is that? If your exercise routine only involves cardio? It's time to fall in love with strength training. Cardio is great in its own right besides losing weight he can improve your memory and thinking ability and it helps to control blood sugar, reduce anxiety, and get you better sleep. But if you only do exercises that focus on cardio, it means that a lot of your muscles are not getting the attention they need. Before you know it you'll reach a limit in your weight loss journey because your body will have adapted to the cardio. That's why adding strength training to your team is a must. Many people are afraid of getting too buff with strength training which is why they stay away from it. But strength training will help you gain lean muscle in your body. It will also increase your metabolism and help you burn fat. 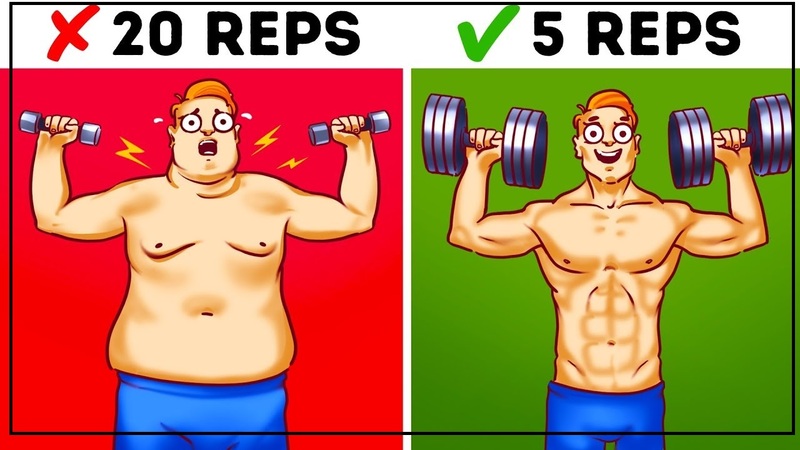 The more muscle you have the more energy your body will expand and the more calories your body will burn while you are chilling in your house, sleeping or just going about your regular day. Most people have been sore at one point or another and it isn't just something that happens to those who are engaging in a new workout routine. Even the most experienced athletes can get sore from time to time. To a certain extent, soreness is a natural part of exercising. The technical term is delayed onset muscle soreness and it occurs 24 to 48 hours after you exercise. But how sore is too sore? Should you push through your soreness or rest? Taking time to rest and allowing your body to recover from exercise is necessary for a healthy workout routine. If you wake up and find that you can't get out of bed then that's too sore. It means you're pushing your body too much all at once when you actually need to ease into the exercise you're trying to accomplish. This type of soreness means you'll need to take a few days of rest and focus only on very light exercise such as walking. If you try to push through this soreness all you'll do is tire the muscle and set yourself back even further. #2. You use light weights to tone up. What is the best approach for doing more repetitions with lighter weights or doing fewer repetitions with heavier weights? Both approaches have their benefits but if you're trying to tone up your body and show some muscle, heavier weights for a shorter time is the way to go. Lightweights can help you build endurance and using them is particularly helpful for endurance sports like cross-country skiing and rowing. You could do 20 repetitions with light weights. But pushing your body to use heavier weights even if you only do five repetitions will help your muscles look sculpted. Lifting heavy weights will increase your muscular strength and tone up your muscles. If your goal is weight loss heavier weights and short reps are also the way to go. This works in the same way that hiit exercises function. Heavier weights will help you maintain your muscle mass while losing fat. If you're planning to try this soon, make sure you test your body to see how much weight you can safely and comfortably lift before engaging in a hard workout. #1. There's no variety in your exercise routine. This means you've gained some stamina but it also means it's time to change things up and give yourself a new challenge. A good exercise routine for weight loss and toning up involves cardio, strength training, and flexibility exercises. Warming up and stretching. So mix it up and you'll see how this variety can help you stay much more engaged with your exercise routine. Remember, that besides exercising diet plays a huge role in your weight loss journey. If you exercise and eat well but are regularly piling on the calories with energy drinks or energy bars which are packed with sugar? You could be reversing the benefits of your exercise. So tell us, have you caught yourself making any of these mistakes? Let us know in the comment section.